Five new baby carriers from phil&teds! 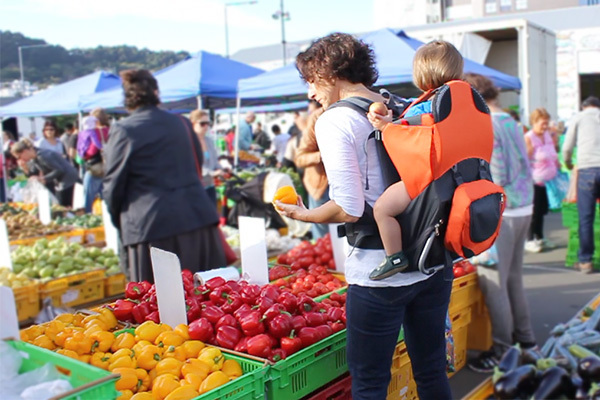 The search for the perfect baby carrier has just become a whole lot easier. 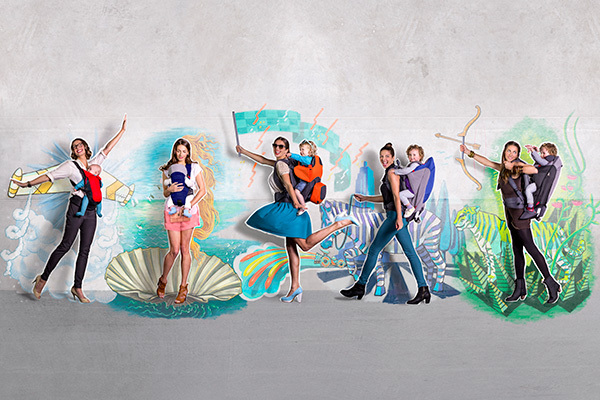 One of the most innovative children’s product brands – phil&teds – has launched not one, but five new baby carriers. There’s one for every occasion – and they’ve just been released today! 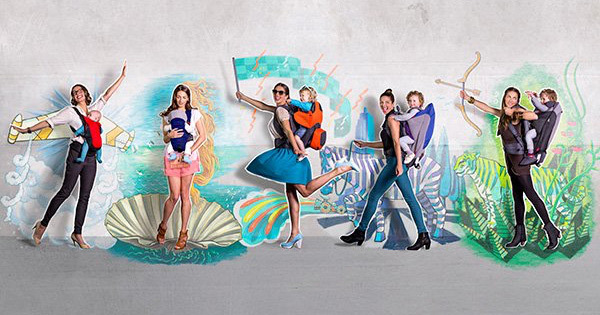 This complete collection of baby carriers makes choosing a baby wearing product incredibly simple. 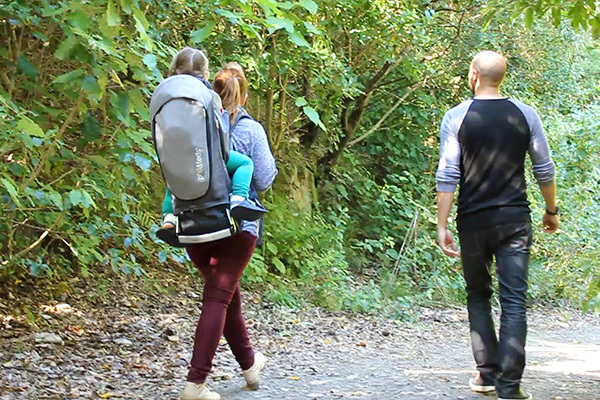 Take a look and you’ll see phil&teds has used its usual ingenuity and know-how to craft a handful of baby carriers that ensure if you’re travelling, on the go, or need a great all-round option, you’re covered. The philosophy underpinning all of these carriers is freedom. The ability for parents to enjoy hands-free time, all while keeping their baby close. And it means babies also get a chance to explore their world beyond their nursery. So let’s take a look at these new kids on the block. The phil&teds Airlight front and back carrier lives up to its moniker. It’s compact and light, and folds up neatly into its own padded belt. It makes the Airlight the perfect travel option. And it’s so easy to use – just pop the belt on, clip it, zip it on and you are away. It includes a newborn insert and has a cotton blend body. It’s a great option to leave in the car, for those just-in-case moments. 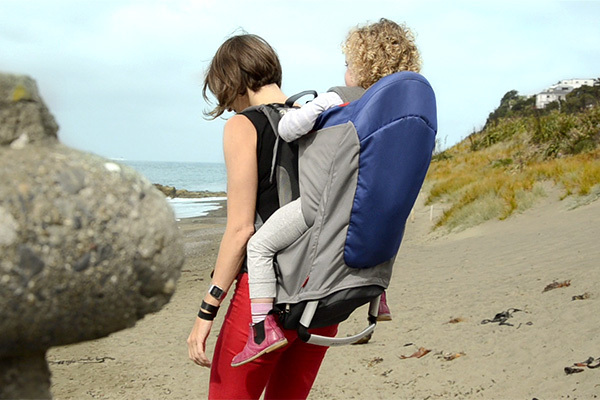 The Airlight can be used from newborn, until the child weighs 12 kilograms, and retails for $69. The Emotion carrier ($89) is built for comfort. It cradles the baby high and close, and has integrated head support so you can secure baby safely with a clever one-hand clip system. The Oeko-tex cotton blend fabric is soft against a baby’s sensitive skin, and the addition of two dribble bibs keeps the carrier looking like new. It’s designed to be used from the newborn stage, up to when the child weighs 15 kilos. Another great on-the-go option the compact Parade can carry children weighing up to 18 kilos, but is incredibly lightweight. The active-ergo fit harness ensures babies are well-supported, while the air-tech ventilated back keeps everyone comfortable. The Parade also features a stand and detachable mini backpack, making it ultra-functional. It’s designed for use from six months through to three years, and costs $139. As the name suggests, the Metro exudes city style, and is adaptable to today’s fast-paced world. But it’s also the perfect carrier for getting the little ones into the outdoors. It easily adapts to different wearers in mere seconds. The padded hip-belt, lumbar support and plush harness ensure comfort for the wearer, with the baby’s weight distributed perfectly. It has plenty of storage space and a quick deploying stand. The Metro is designed for use from six months through to three years, and costs $179. The final carrier in the new range is the Escape, which is designed to ensure ultimate comfort for babies and wearers while out and about. Costing $229, it has a quick harness length adjustment, lumbar support and advanced weight distribution. For the child it has a full-coverage shoulder cradle, mouldable headrest, sun hood, rain visor, foot stirrups and a change mat. It is the ultimate for adventurous families, and is finished with a zip-off daypack. It’s designed for use from six months through to three years. The carriers are available in store exclusively through Baby Bunting.